Conference side Chester have signed striker Kane Richards from Northern Premier League side Ilkeston. 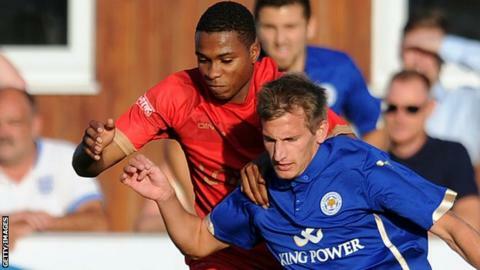 Richards, 19, who can also play on the wing, started his career at Derby County before moving into non-league. "Kane is a striker who will be hungry to do well here, he's got an excellent pedigree," said boss Steve Burr. Meanwhile, defender Rhys Oates, 20, has been recalled by Barnsley after scoring twice in six appearances during his one-month loan spell from Oakwell.